The primary goal of exhibiting at a New Orleans trade show or convention is to build your brand while attracting new customers. However, you also need to stay within budget to maximize the return on your exhibit. ExpoMarketing can help you achieve these goals with a custom-designed rental booth that costs far less than owning your own. A pioneer in the industry since 1991, ExpoMarketing provides exhibitors throughout the U.S. with a cost-effective alternative to designing and building their own booths. We offer many award-winning designs to choose from. We carry one of the largest booth rental inventories in the country. And all our trade show booth rentals in New Orleans provide a professional, custom-built look without the high cost of ownership. If you’re looking for a New Orleans trade show display that’s easier on your staff and your budget, renting is the smarter choice. Renting provides the flexibility to change booth sizes – a real advantage if you exhibit at multiple shows throughout the year. And it can help avoid extra fees for maintenance, refurbishment, pull and prep, and storage. 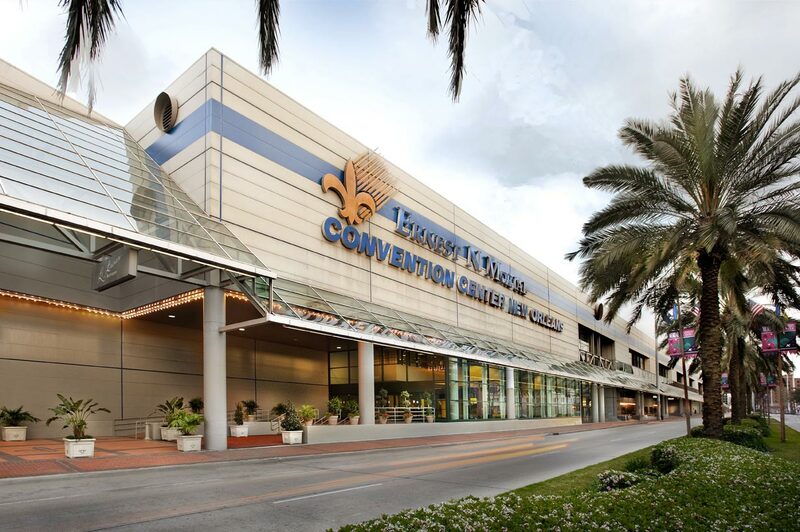 With 1.1 million square feet of contiguous exhibit space, the newly renovated Ernest N. Morial Convention Center is the sixth largest convention facility in the U.S. It also consistently ranks in the country’s top 10 of facilities that hold the most conventions and tradeshows each year. Most important, it’s located in New Orleans, where trade shows and conventions have a different atmosphere and energy than anywhere else. Attendees are always excited to be in one of the world’s most storied and culturally rich destinations, and the service provided at the Ernest N. Morial Convention Center never fails to live up to their expectations. This includes a wide range of culinary options that uphold New Orleans’ reputation as a world-class dining city. Exhibitors enjoy a diverse array of convention services, including a full-service business center, to support their in-show needs. New exhibitors can also take advantage of the One2One Exhibitor Program, a time-saving service that provides first-time exhibitors with personalized support before, during and after the show. ExpoMarketing provides a full line of trade show booth services to help make your exhibit a marketing and financial success. Our expert exhibit design and graphics team help you create a booth that presents your brand with polish and style. We also rent everything you need for the exhibit, from furniture and flooring to lighting, A/V equipment and more.